Looking for the best bargain meal in London? 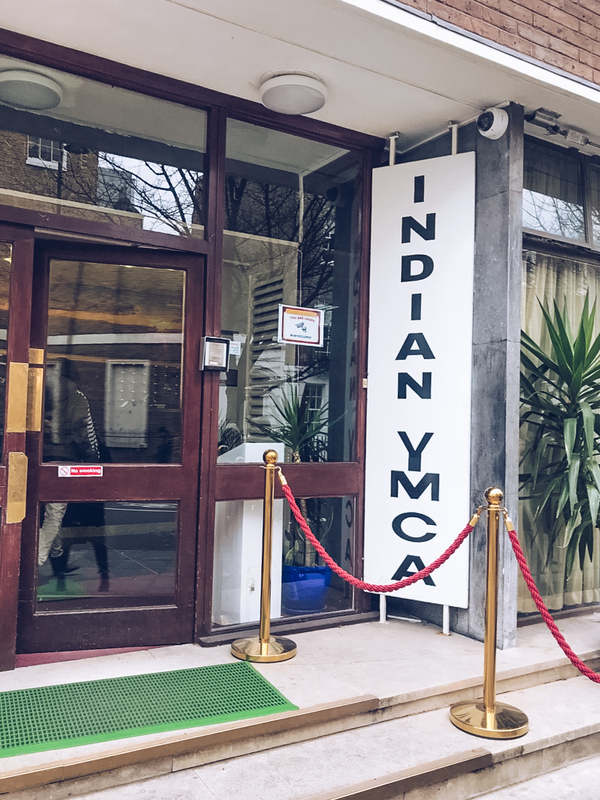 The Indian YMCA in Fitzrovia is open to the public and serves up home cooked food for a fraction of the price of its neighbours. I’m very much a bring-in-your-lunch sort when it comes to my one free hour in the office each day. I love to cook and often have delicious leftovers for the taking, and of course, it helps on the purse strings when my bank account is feeling a little light. I work in central London which means there are some amazing places for lunch, but you’re looking at an average of around £7 for something fulfilling (and even a minimum of a fiver for a bog-standard sandwich and crisps situation) which adds up over the weeks. I’d heard rumours of the Indian YMCA’s restaurant being an amazing place for a cheap-as-chapattis lunch, but kind of felt stupid going there. I mean, it’s a hostel, and a charity at that. Who am I to go to someone’s accommodation and help myself to their bargain spread? But lunch-goers are openly welcomed; card payments taken and they even do a collection service if you want to take food back to the office! It’s very much a canteen setting, and you’ll need to get there early to ensure you get a seat, but as soon as I saw the menu, I was already panicking about how I’d whittle the choices down. Watch my food Instagram Stories highlight to see what else I’ve been eating! Each main dish costs between £2 – £4 and you can help yourself to whatever you like. 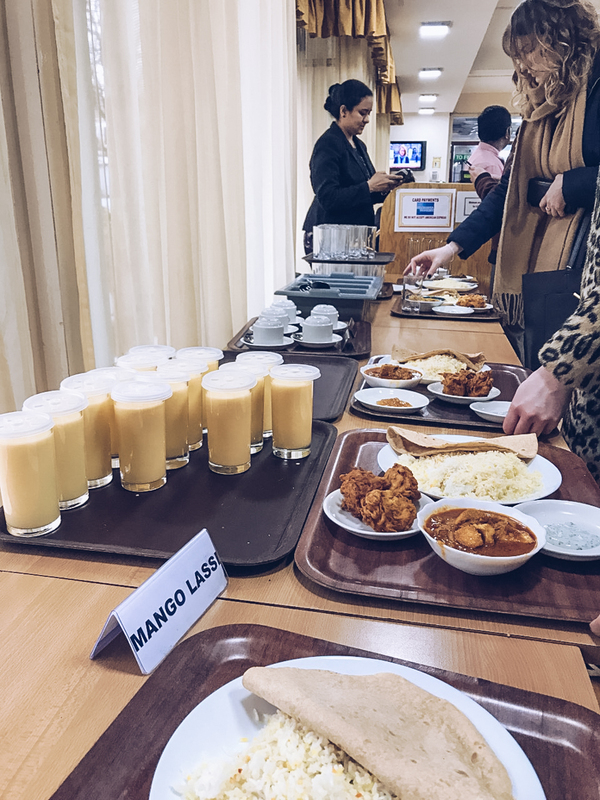 There were options of lamb, chicken and fish curries, with a chapatti that cost just pennies on the side. My lamb curry had huge chunks of meat in it and a sauce thick with the taste of cumin which I loved. No watery tomato bases, but also no searing heat to make up for not knowing how to use the right balance of flavour. 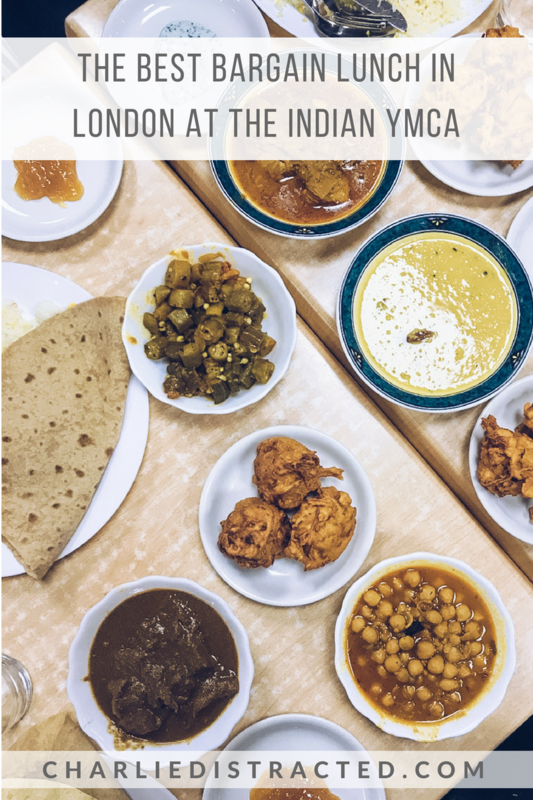 A touch of chilli here and there, but this was really a exceptionally accessible meal for lovers of all sorts of Indian food. The side orders were my downfall when it came to keeping to a lower budget: crunchy okra, which I’ve only ever experienced in Caribbean cuisine before and was a total delight. Slightly al dente chickpeas swimming in cardamom and coriander seeds , and then lentil dhal, a dish I cook at least once a fortnight at home, a little thinner than I usually like it, but delicious all the same. 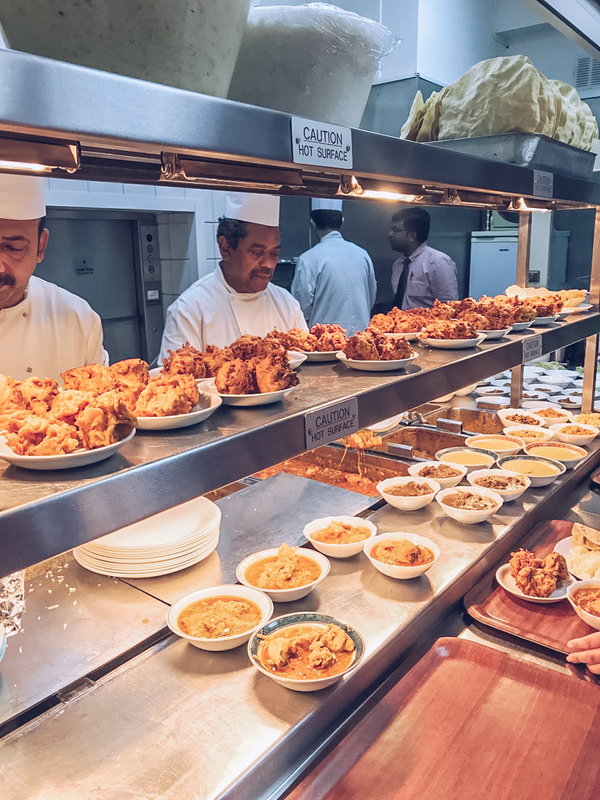 We had flaky onion bhajis (three to a plate for just £1.50), plus raita and mango chutney for 50p a pop, and plain or pilau rice to bring it all together. It felt like the world’s best school dinner. 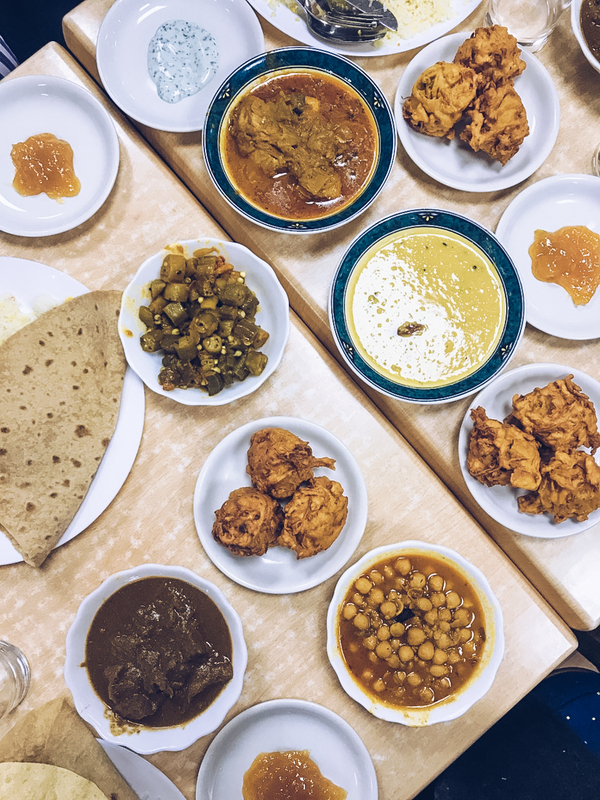 Clanging of the giant metal cooking pans in the corner, the old-school till ringing through endless orders, sitting elbow-to-elbow with my colleagues as we all swapped and shared dishes to try a bit of everything. 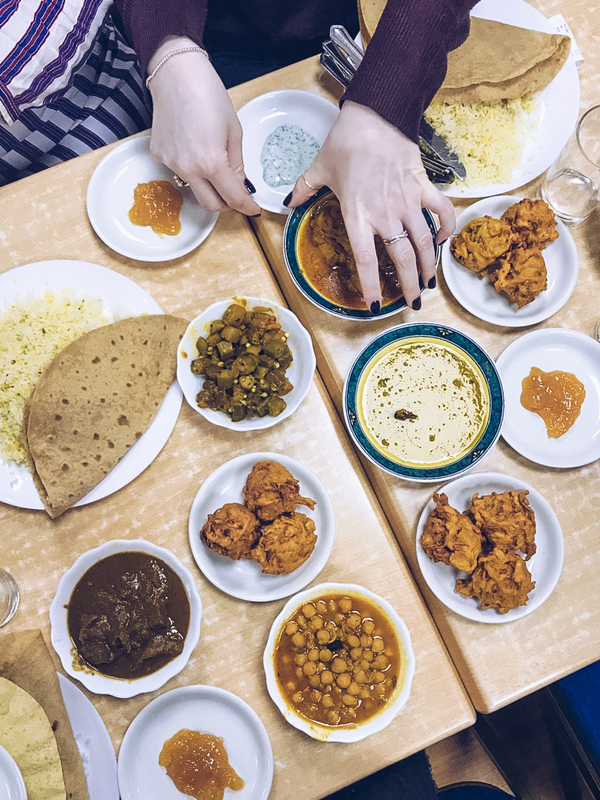 My share of this feast cost £8 and I couldn’t even finish it all, opting to take my leftover bhajis back to the office for a late afternoon snack (which I didn’t even need because I remained super full for the rest of the day!). This is the kind of food I am beyond excited about eating in India: no airs and graces, just flavour and simplicity. But I don’t go there until next year, so the Indian YMCA will be getting a few more visits from me in the meantime! Next Post Is Long Term Solo Travel Just ‘Running Away From Your Problems’?